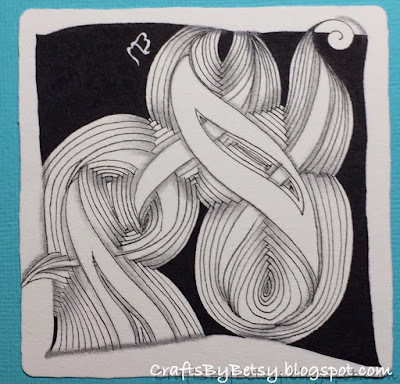 If you haven't heard, and even if you have....Zentangle® has a new tangle pattern called Ellish. It's easier than it looks. But it does help to have rhythmic patterns like Betweed or Arukas under your belt. 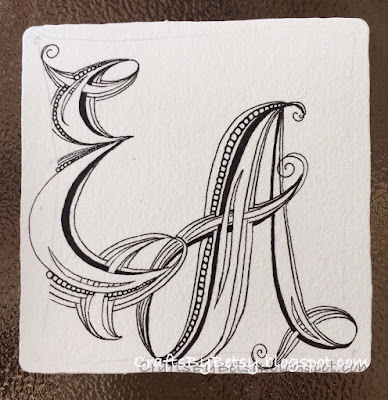 Ellish is a pattern that also just begs you to try different letters, numbers or shapes with it (besides the "L" it's named for). If you check out the Mosaic app, be sure to search #Alphabellish as well as #Ellish. And be sure to check out The Diva's website for all the different interpretations! I wanted to make a tile for my daughter who recently passed her Enrolled Agent exams with the IRS. 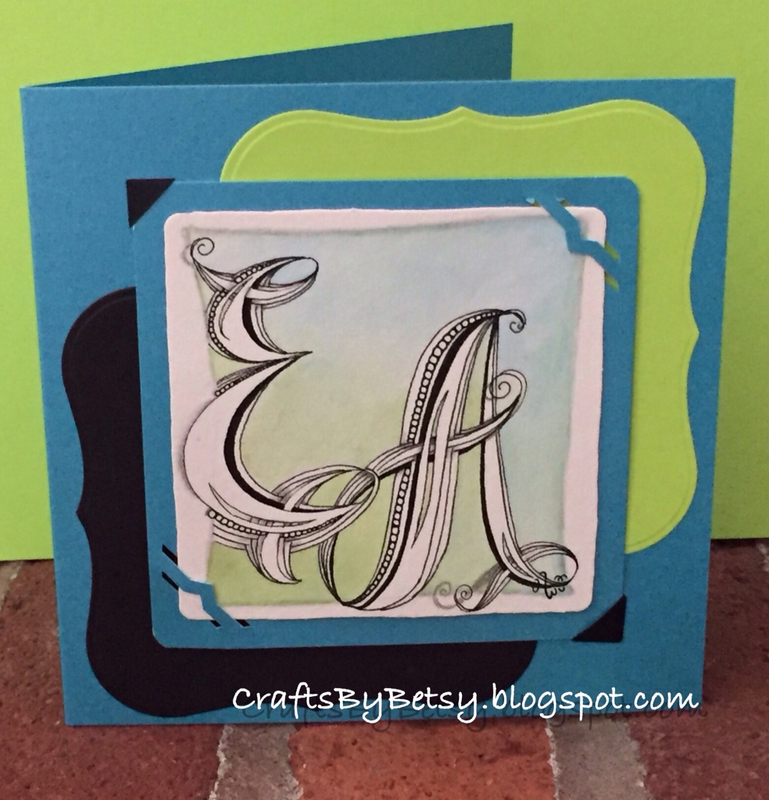 I thought tangling the EA initials would be perfect for a card for her! I was really happy with the initials but wanted to add something more to the tile without overwhelming the focal point. I decided adding color would be the ticket. I used Gelatos and water to make this nice blend. You can't see it, but there is a metallic gold champagne over the green which adds subtle sparkle. I was happily surprised to read the Gelatos are lightfast and permanent when dry! The card is a 5.5 inch square card made from Crafter's Companion pearl cardstock. I used my Spellbinders Nestabilities dies to cut some mats from scrap cardstock and a Marvy Uchida punch made those corner slits. Photo corners hold the tile and its mat in place so they could easily be removed. 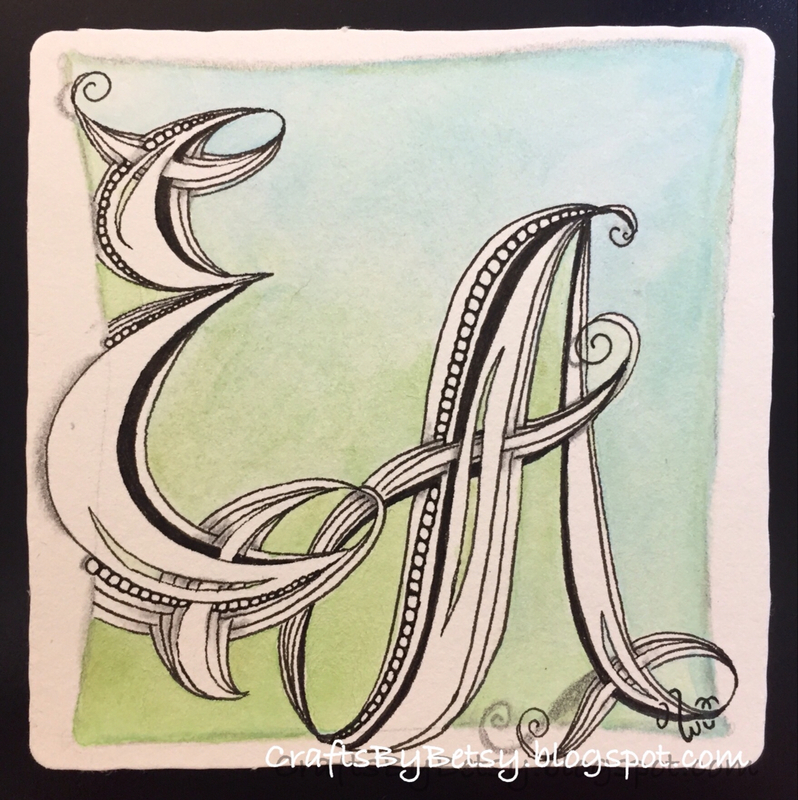 Great work with Ellish and the other letters! 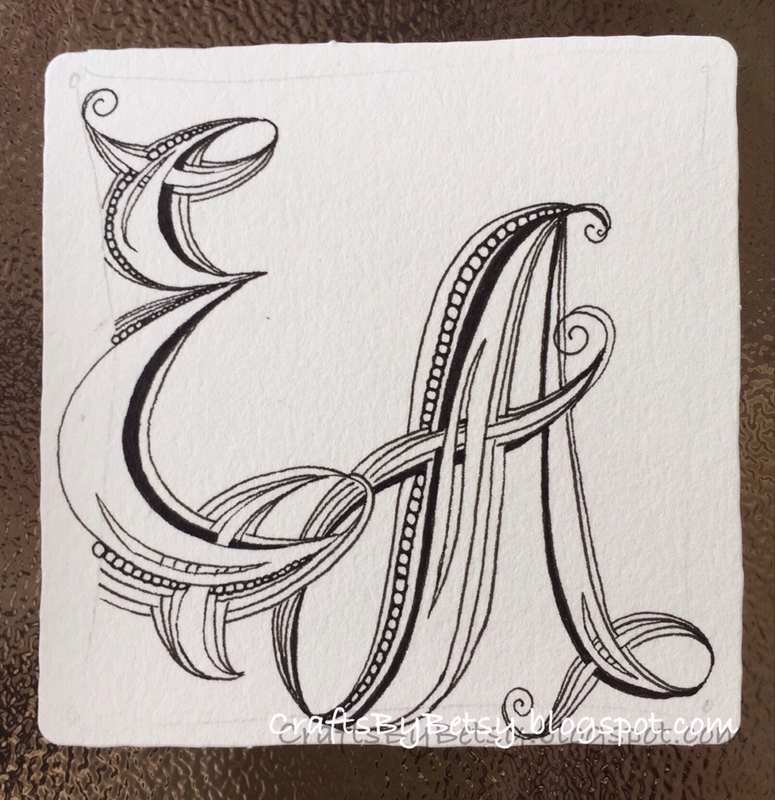 I was thinking of trying A and W, but haven´t done it yet! 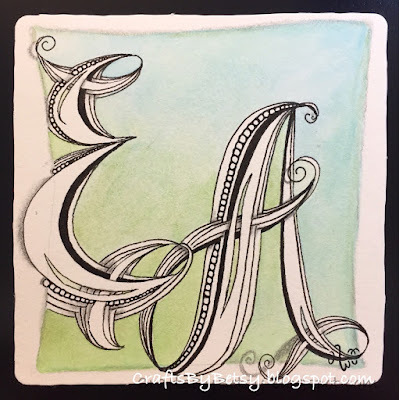 Great Ellish and a good idea to transfer the tangle on other letters- it is lovely (Maybe I am going to try it with my initials as well?! Love this beautiful special card!!! Very well done, I also like the colors. Wonderful Eliish & Your card is really beautiful! Love your initial Version. Wonderful work. I love your Ellish and the variations. I think that it looks really nice with a larger center too. Gorgeous, especially with the soft color gradient in the background! Absolutely love the EA card, totally brilliant!! Beautiful Ellish-tile with great depth! 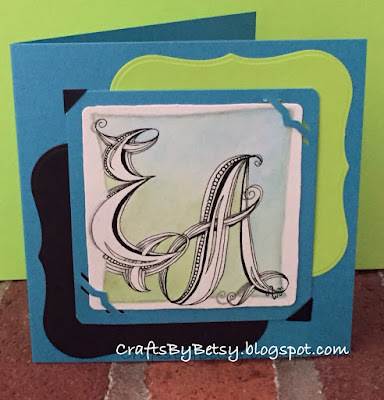 Your card with your daughter´s initials is just wonderful and unique!